Free towing when we buy your vehicle! We will pay you top dollar for your cars, trucks, SUVs, and mini-vans in any condition – running or not, both domestic and imported, any make and model, and any year built. 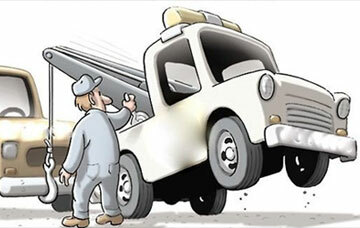 Most junk car removal companies simply make a profit by buying vehicles form the public and then selling the junk cars to scrap metal dealers to cover towing cost and to generate a small profit for themselves. We’re different because we are the recycling facility! We are able to pay you the salvage value and pick up your vehicle free of charge. That puts more money into your hands and not the middleman.